This documentation is written for english Android 4.4.4 and this functionality may look different in other Android versions. 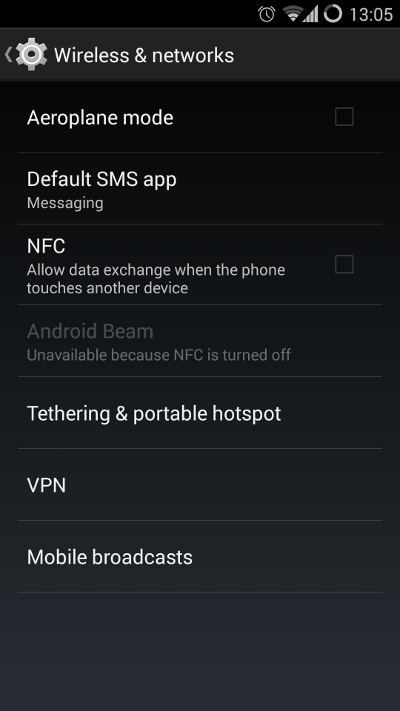 1: Go to settings, choose “More” under “Wireless & networks”. 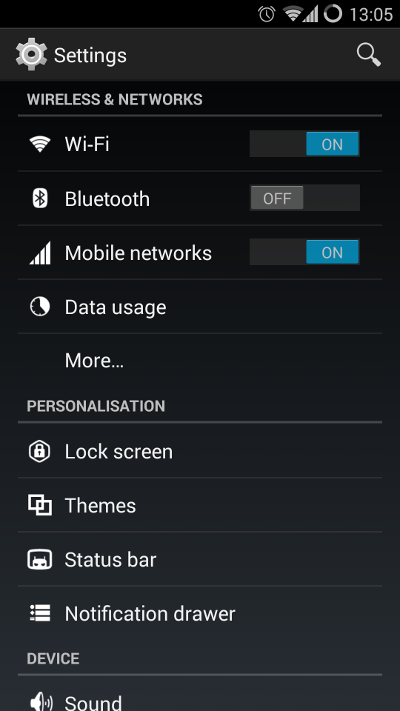 2: Click VPN and plus-icon at top right. 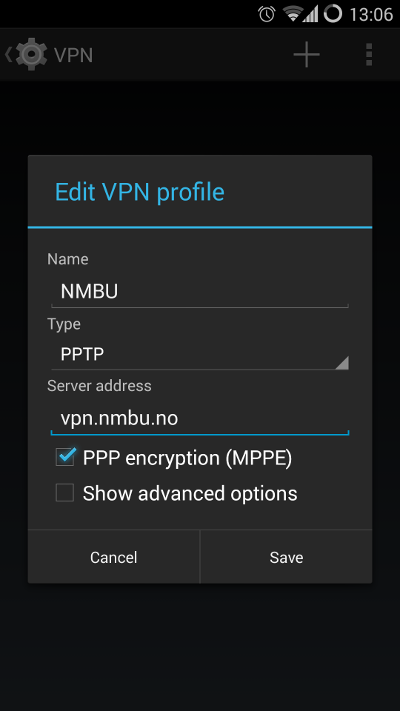 3: Set NMBU as name, PPTP as type, vpn.nmbu.no as Server address, and make sure PPP encrpytion (MPPE) is enabled. Save. 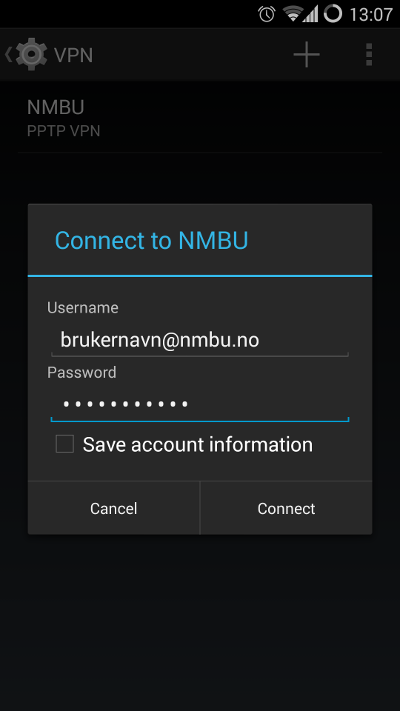 4: Open VPN connection by click NMBU. Logg in with username@nmbu.no and NMBU password.